Welcome to the animal grooming group of SmartGuy.com, Feel free to interact with other professionals from across the world. You can find professionals, find deals on services, find professionals who might barter, or simple post questions, comments, or suggestions. Dog grooming refers to both the hygienic care and cleaning of a dog, as well as a process by which a dog's physical appearance is enhanced for showing or other types of competition. A dog groomer is a person who earns their living grooming dogs. Grooming is a vital part in the well-being and healthiness of a dog which can improve their lifespan. How much grooming a dog needs depends on its breed, age, and health. 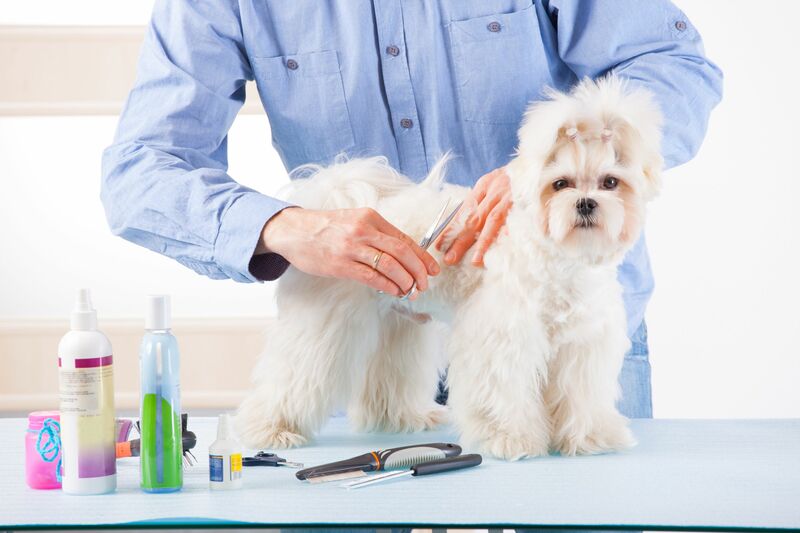 Regular grooming helps to ensure the dog is healthy and comfortable. While many dogs shed, others such as the poodle, do not shed as profusely and require grooming by a professional.